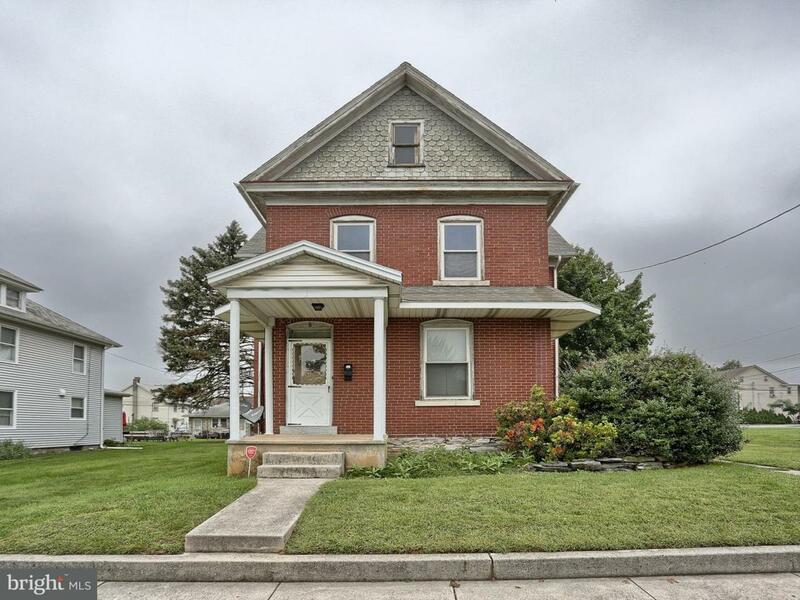 Many possibilities with this property at an excellent location in Annville-Cleona School District directly in the heart of the Cleona Borough. This sale is for the detached home and property at 7 W. Penn Ave and the adjacent vacant lot together (price inclusive). The detached home is currently divided into 2, one floor apartments. Both apartments have 2 bedrooms, 1 bath, living room, and kitchen. They feature beautiful hardwood floors in the living areas and bedrooms and vinyl in the kitchens and baths. Both apartments have very similar floor plans and the entire building is well maintained. The 2nd floor apartment has access to a huge attic and the first floor apartment has access to a partial basement. Currently one apartment is rented for $700/month on a month to month basis. The tenants have enjoyed their home for 5+ years. The 2nd floor apartment is currently vacant for the purpose of showing this property for sale. Here are some of the possibilities: rent out both apartments for a great investment. Currently the landlord pays water, sewer, trash, and oil for an estimated $4500 yearly expense. Each apartment has its own thermostat control for 2 zone oil heat and tenants pay their own electric. Another possibility: live in one, rent the other - get cash flow to help pay your mortgage while you live in one of the units. Another possibility: convert the home back to a single family home - easily convert the staircase from a closet and ceiling back to a staircase for access between the floors. The vacant lot can be enjoyed as it is for spaciousness or work with local officials to improve the land for a possible gain. There is ample off-street parking at the rear of the property via the alley and also parking spaces on the street in front. Well located property within walking distance to restaurants, Cleona elementary school, playground, and easy trek to Annville, Lebanon and beyond. All measurements are approximate. Buyer to perform due diligence on both properties. The properties will not be sold separately.